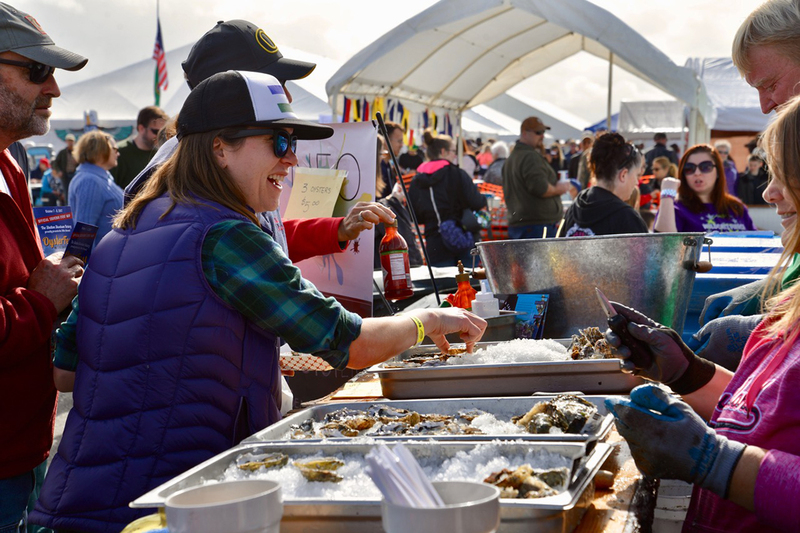 Music, fun and of course oysters, are just a few reasons visitors flock to Hood Canal for the annual Hama Hama Oyster Rama in the spring.. 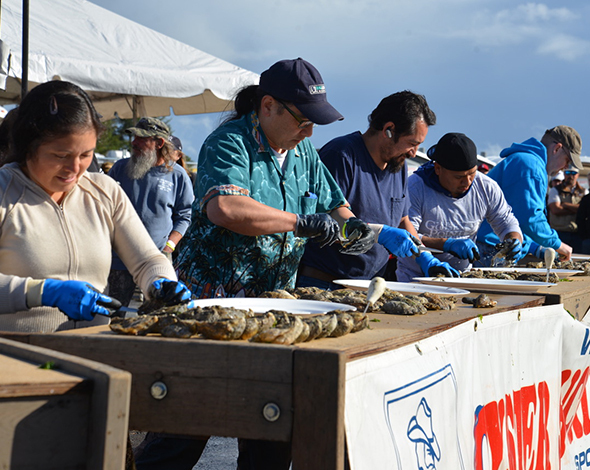 Competitors hard at work during the West Coast Shucking Championship. 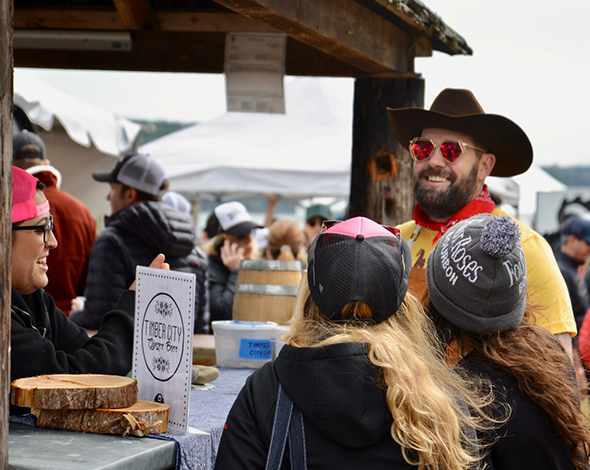 Two hours from Seattle, three from Portland, Hood Canal is a bustling summertime destination that is gaining year-round gastronomic popularity owing to its oyster resources. Geographically and romantically referred to as a “fjord,” it is the only marine fjord in the lower 48 states. Defined by its dizzying depth— 600 feet in spots—and littered with the till of the glacier that formed it roughly 26,000 years ago, it connects the towns of Union and Hoodsport while providing access to the Salish Sea. Fed by waters descending from the Olympic mountain range, it’s the perfect place to grow oysters. Never compromise on freshness and slurp with purpose, an open mind, and good friends." With a "flounce of delicate ruffles," beach shells have a unique story to tell. 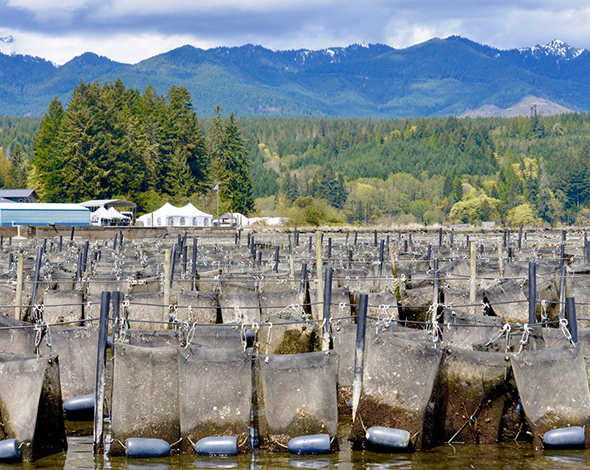 Visit an oyster farm to see how raised bags are used to grow these gems of the sea. Oysters are interesting creatures. Each one of these vaguely sensual morsels tells us much about the history of its existence. The shell offers clues as to how it was raised. Beach growing promotes a flounce of delicate ruffles while raised bags concentrate on the austere cup—chipping at frills with each tide. Suspended they have increased algae and don’t waste energy forming thick shells to protect themselves from predators. They grow fast with subtle briny flavors. 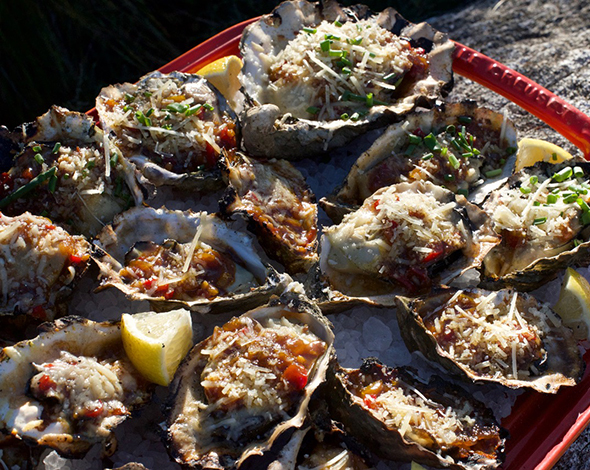 Beach oysters are heartier with a more complex “kelpy” taste. The Mason County Historical Museum is a great stop for local history. Visit Smoking Mo's for a selection of local shucks in their oyster bar. 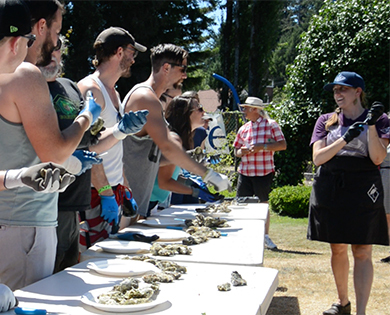 Allyn's July Geoduck Festival hosts an annual amateur oyster shucking competition. A journey around Hood Canal and South Puget Sound allows the oyster aficionado to experience the nuances of each body of water. Approaching Shelton from the South on Hwy 101, stop in at Taylor Shellfish’s headquarters and visit their market for oysters grown in neighboring inlets. Taylor’s specialties include the famed Kumamoto (sweet fruity flavor) and the Virginica (crisp, briny, and buttery). 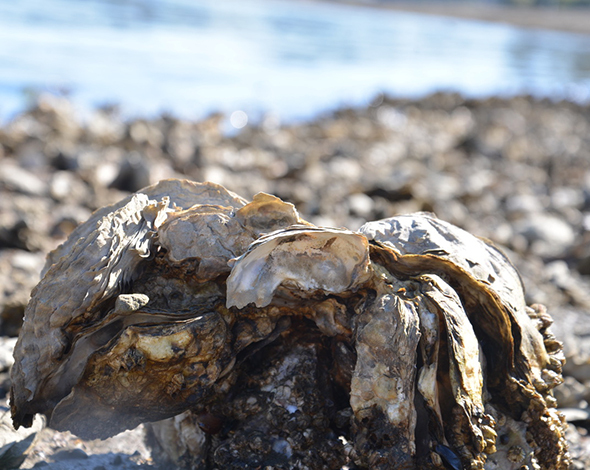 The company has been farming oysters on Puget Sound since the 1890s. Primarily a logging town, Shelton is slowly awakening to its oyster heritage. 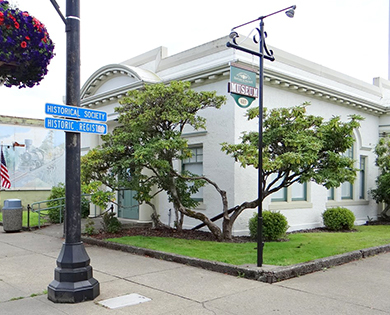 The Mason County Historical Museum downtown recently dedicated an area to display their aquaculture past. Most tales lead back to the prized Olympia Oyster. In the 1850s, gold prospectors brought their appetites for oysters with them from the East Coast and would celebrate large strikes with feasts of oysters and champagne. A plate of Olympias sold for as much as $20 (the equivalent of about $400 today). As the only oyster native to the region, Olympias covered Washington’s shores prior to the Europeans’ arrival. But over fishing and industrial pollution caused the Olympia to rapidly decline. Today biologists and farmers are combining forces to re-establish the native populations. 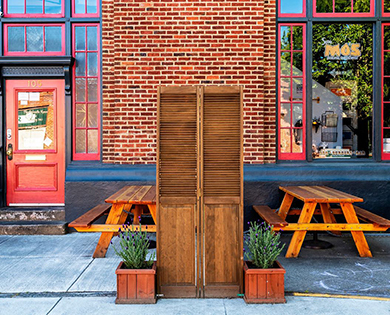 In Shelton, head down Railroad Avenue to the popular southern BBQ spot, Smoking Mo’s. Upstairs is the “Shucked Up” oyster bar. In this cozy perch you can compare the "merroir" (as compared to a wine’s “terroir”) of oysters from Hammersley to Hood Canal. Alderbrook Resort & Spa in Union combines luxury and authentic Pacific Northwest experiences. 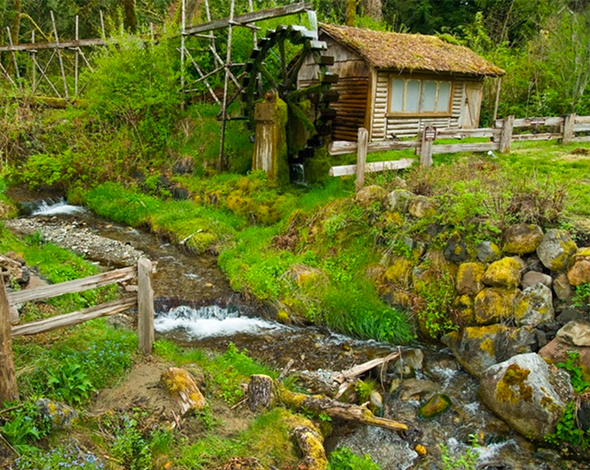 In addition to cozy waterfront cabins, a restaurant and live music, Robin Hood Village Resort also features plenty of enchanting outdoor places to explore. Travel north to continue your oyster research. Begin your Hood Canal pilgrimage at Alderbrook Resort & Spa in Union. Alderbrook’s commitment to the guest experience are truly aligned with luxurious Northwest hospitality. The expansive timber and glass restaurant overlooks a view of the Olympic range with spectacular fall sunsets. Here, chefs prepare delectable creations from local ingredients; including of course the Hood Canal oyster. Also in Union is the woodland cabin retreat, Robin Hood Village Resort. Their restaurant has weekend live music and serves mouth-watering pan-fried oysters sautéed in butter. 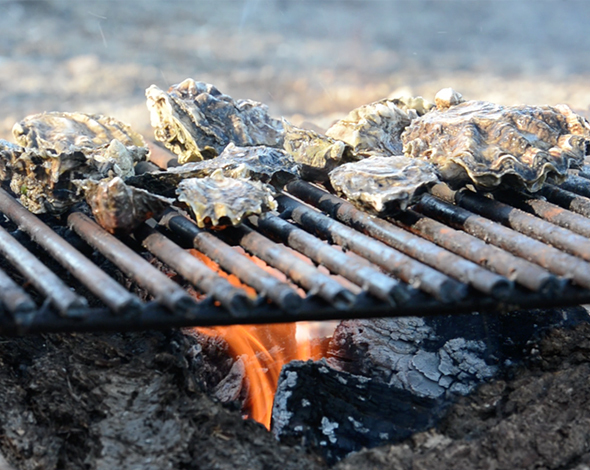 Guests are welcome to use the waterfront grills to cook oysters purchased at nearby markets like Union City Market or Hunter Farms. For an authentic Northwest Hood Canal retreat check out the rustic cabins at Mike’s Beach Resort just past Lilliwaup. Reasonably priced and with amazing views this waterfront getaway is operated by husband and wife team, Sara and Matthew Macias. These third-generation farmers are also serious about producing some award winning oysters on site for market and available at restaurants as far as way as New York. 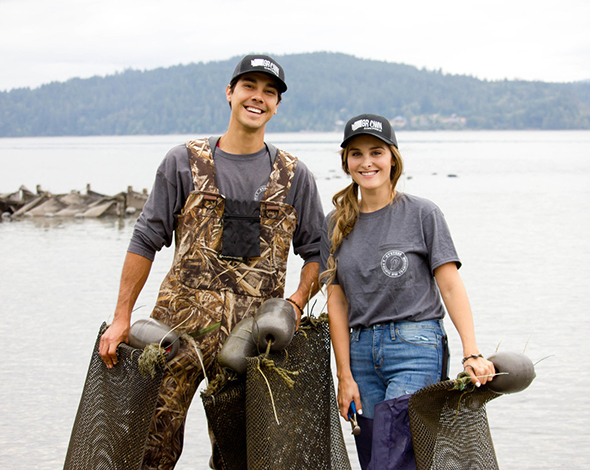 Guests staying on the active farm, Olympia Oyster Co., have first dibs on some of the freshest oysters on the fjord! CLICK HERE If you'd like to see a complete list of lodging options when you Explore Hood Canal. Go forth, harvest and enjoy! 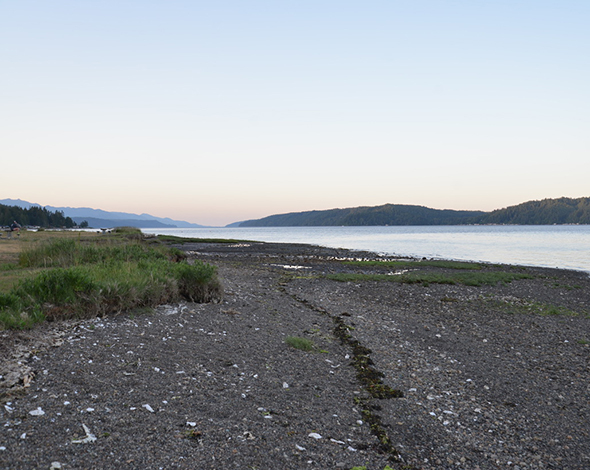 Potlatch State Park is a popular place to gather fresh oysters. With minutes of your harvest, you can be enjoying the fruits of your labor right on the beach. Prefer to gather your own? Many of the public beaches are open to harvest with just a shellfish license. Popular sites include Twanoh, Potlatch, Lilliwaup and Eagle Creek. Always be aware of conditional closures and limits. Oysters gathered on a public beach must be shucked on site and shells left behind. 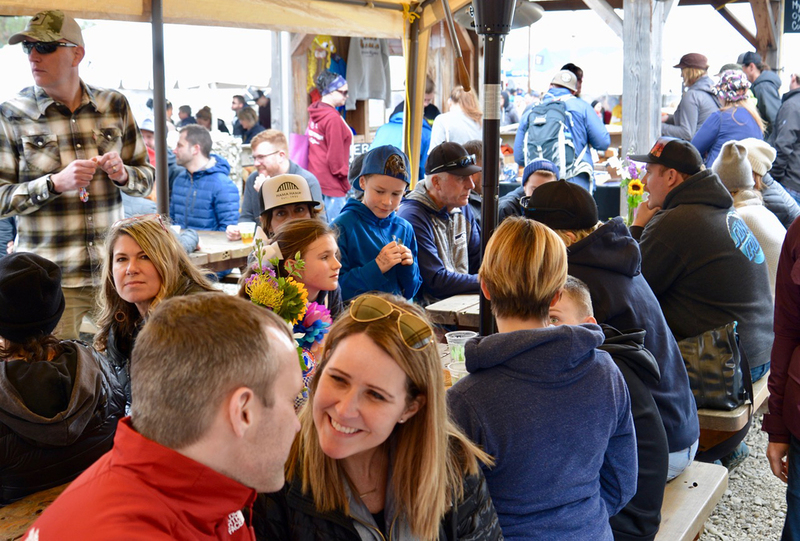 Locals and visitors alike enjoy an outing to the Hama Hama Oyster Saloon. 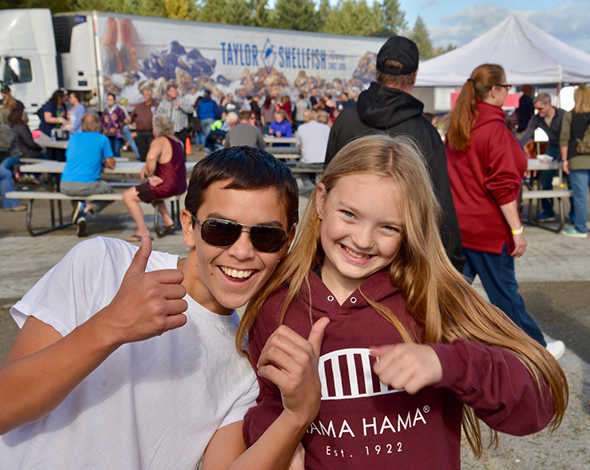 Fans of Hama Hama Oysters are not hard to find in this neck of the woods. Xinh Dwelley’s grilled oysters are always a welcome sight but don't look too long because they disappear quickly. A few years ago, the Hama Hama Oyster Co opened their Oyster Saloon in Lilliwaup. This high energy destination serves oysters pulled from the last tide and prepared to order with an ever-changing menu of seasonal local ingredients. In their retail shop you can purchase a variety of their Hood Canal product including salmon and oysters smoked on site.